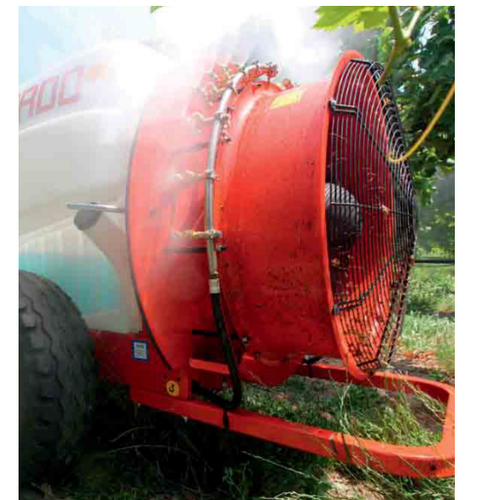 Introducing Turbomister Outdoor Misting Fans. Indegeneously manufactured in India by the experts in HVAC solutions, SunGreen . TurboMISTER Misting fans are highly e cient, covers a larger area thanks to the R & D e orts that has gone into development of the product. Comes in standard and custom colour requirements to go with your aesthetics. • 100% Maintenance Free - Our misting systems donot have any maintenance requirements considering that its nozzle free but stillproduce ne mist. • SunGreen Design Engineering - After a lot of R & D, the perfect misting fan at affordable costs. Our team of experts worked on the airvolume to mist ratio, spacing details for even ow of air as well as adapt / design the fan blades to acheive a wider cooling area. • Highly Efficient - Operate your misting systems without having a hole in your pocket. They are very energy efficient. • Wide Range Of Accessories - Our system comes with a range of accesories including custom Tank modules, custom height attachments, wall installation modules to adapt to any site requirements.